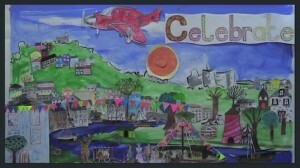 On Wednesday 4 April 2012, more than 50 people of all ages worked together to create a moving picture celebrating the history of the market town of Haverfordwest in West Wales. Film maker Sharron Harris from Curious Ostrich Productions worked with facilitators Pip Lewis and Guy Norman from spacetocreate community arts. Volunteers Jack Wheatley, an undergraduate student studying Illustration at Camberwell College of Arts and Katherine Morgan a Textiles Graduate from University of the West of England also contributed their talent and skills to help make the day a great success. 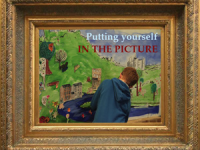 The project was supported by The Arts Council of Wales and is part of the ‘takingpartwest’ programme which is a spacetocreate.org.uk initiative.